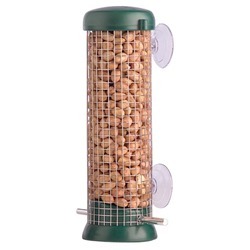 No room in the garden for a full-size bird feeder? 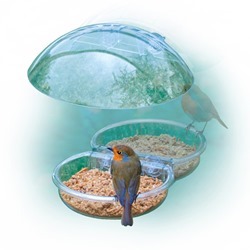 Don't worry - you can still attract feathered friends to your property with a window feeder! 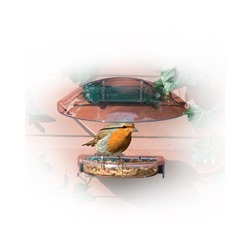 Our window feeders are ideal for bird lovers who don't have enough space for a large bird feeding pole or table but still want to feed the local bird population. 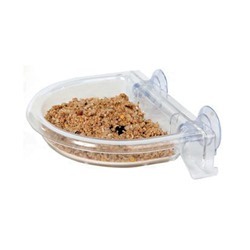 These simple feeders can be filled with seeds and attached to your windows using the suction cups provided. 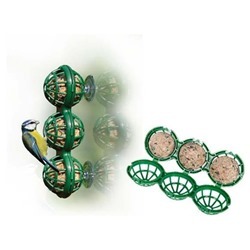 Even if you do have a larger bird feeding station already in place, our window bird feeders can still make a great addition to your garden as they'll encourage birds to come right up to your windows where you can get a good look at them! 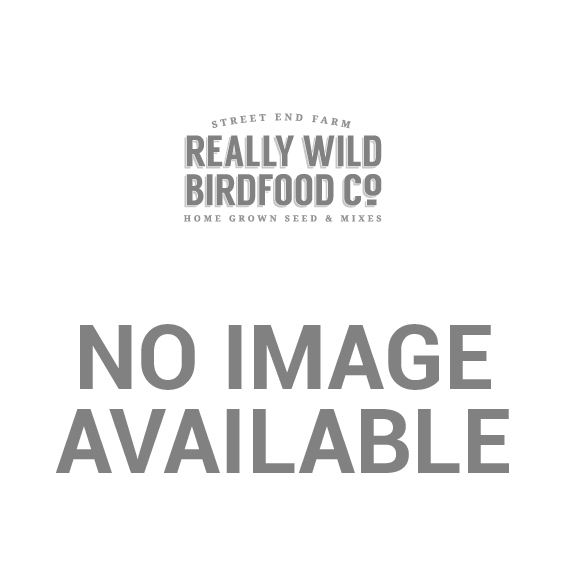 Be sure to browse our selection of home-grown seed mixes before you head to the checkout. 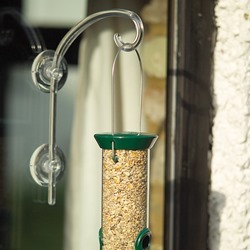 Woodlook Window Feeder - Woodland Green This Woodlook window feeder is low-maintenance and easy to clean! 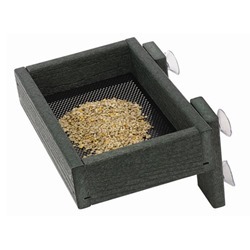 Bird Lover Window Seed Feeder by Droll Yankee A window seed feeder that's perfect for up-close viewing opportunities! 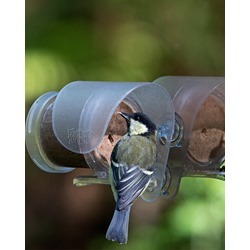 Window Peanut Feeder by Droll Yankee Window peanut feeders, for an up-close glimpse of your favourite garden birds! 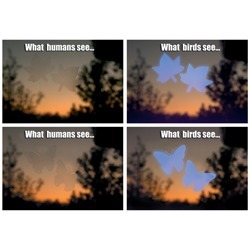 Windows Alerts Avoid window collisions with these ultraviolet alerts for birds. 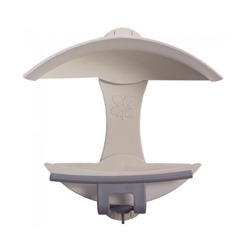 Deep Dish Silhouette Window Feeder This attractive window is easy to clean, and has excellent drainage. 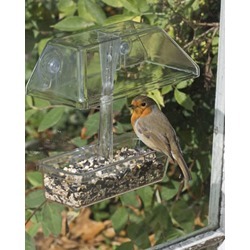 Deluxe Window Feeder A highly durable window feeder for viewing small feeding birds. Woodlook Window Feeder -Weathered Wood A natural-wood effect window feeder, that won't warp or rot!